My husband and I took a cross country road trip in early September and spent five weeks enjoying the country and our visit with family in New Jersey and Pennsylvania. As an Astrologer, I wanted to start this trip on an auspicious day for it to be as pleasurable as possible. The moon was in the travel sign of Sagittarius and we needed to begin the trip before the moon went v/c (void-of-course) so we got on the road with less than ten minutes to spare. v/c is the short period that occurs once a month between the moon making its last aspect to a planet before changing its sign and going into the next sign. It is said that anything begun on a v/c period amounts to nothing, or the path is plagued with false starts and unexpected hassles! No thanks! On the return trip, we had to leave under a Mercury Retrograde, which I would have preferred to avoid. 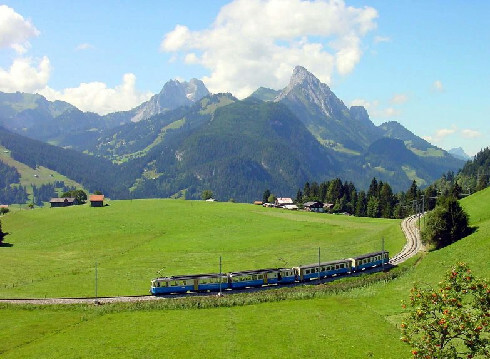 But with the luxury to travel leisurely and not have to worry about time schedules, we actually had no problem. It didn’t affect our communications with each other in the car and we had no important communications to tend to. Air travel would be a whole different issue under a Mercury retrograde. We also remembered to cover our car and ourselves with protective spiritual white light each day and I filled the car with travel angels. 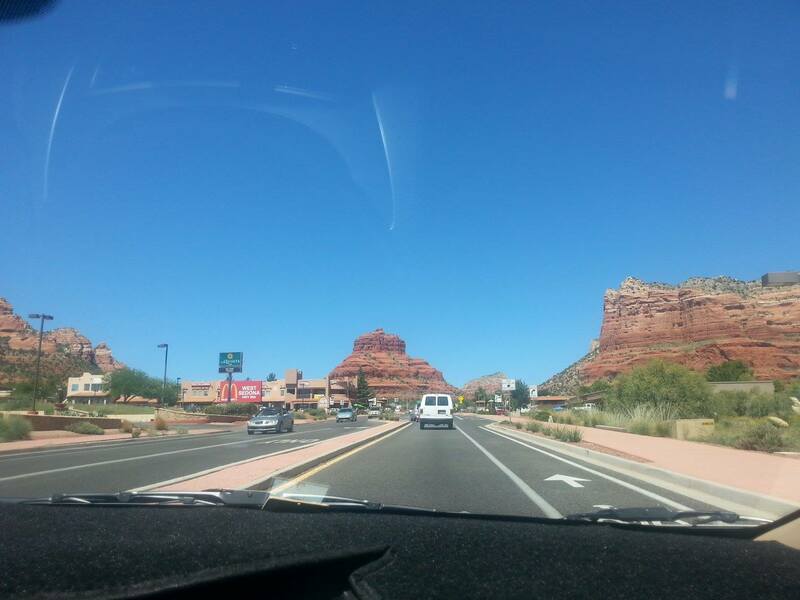 Leaving Phoenix we drove through Sedona Arizona where we met with our son for lunch. He is lucky enough to live in that scenic wonderland. 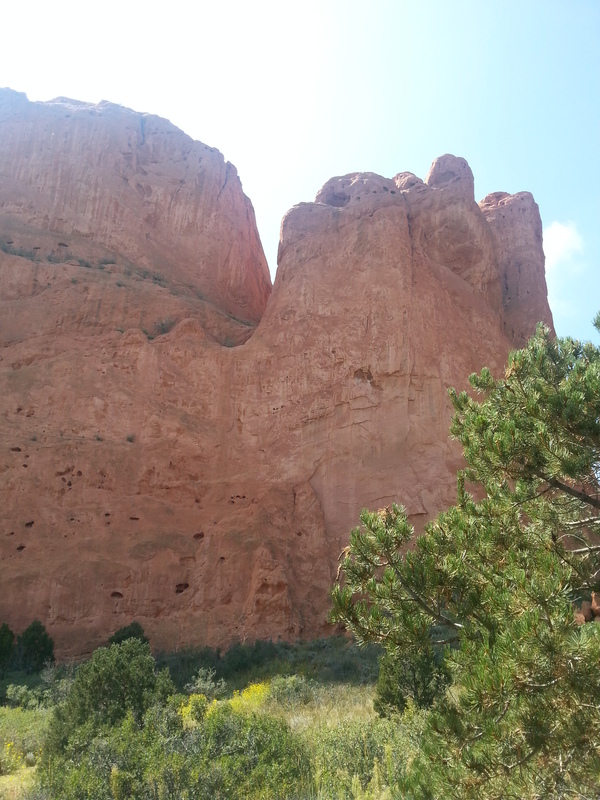 We drove through Flagstaff and then to Gallup, New Mexico where we stayed overnight. On day two we drove through Albuquerque New Mexico and headed to Santa Fe where we had dinner and then spent the night in Las Vegas, New Mexico. Yep, there are two towns called Las Vegas in two different states, who knew??? 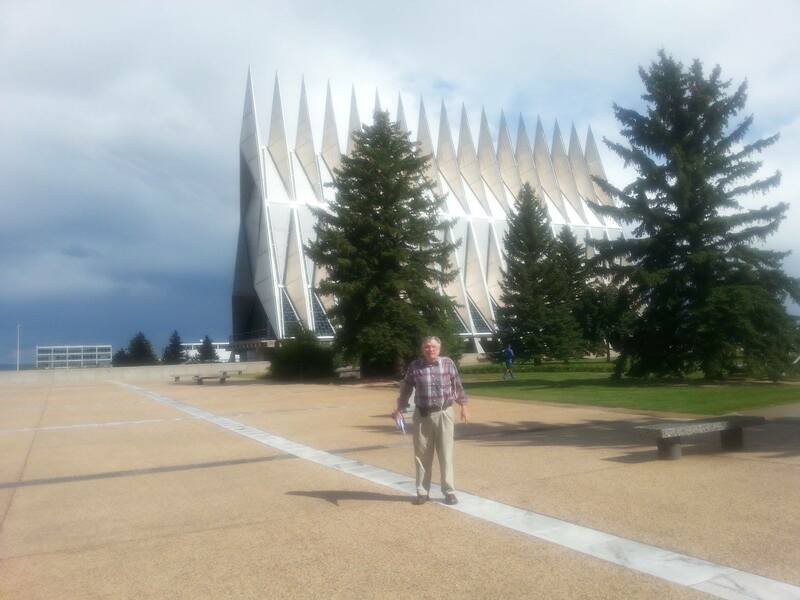 We drove through the cute town of Trinidad Colorado on our way to Colorado Springs, where we saw the beautiful red rocks in the Garden of the Gods one day and the Air Force Academy, with its spectacular all-faith chapel the next day. That must be on the list of the most beautiful places to worship. We spent an afternoon in Old Colorado City and bought candy there at the original Rocky Mountain Chocolate Factory. We made a stop in Limon Colorado the next day and were very impressed with the huge wind farms along the way, which stretch as far as the eye can see. Then we headed to Hayes, Kansas, where we stopped to see the bison and spent the night. Next stop was Abilene Kansas to see President Dwight Eisenhower’s home and Meditation Chapel. Then on to Salina Kansas for lunch, followed by Independence, Missouri where we spent the next night. In the morning, we headed toward Hannibal Missouri to see Mark Twain’s town and boyhood home. 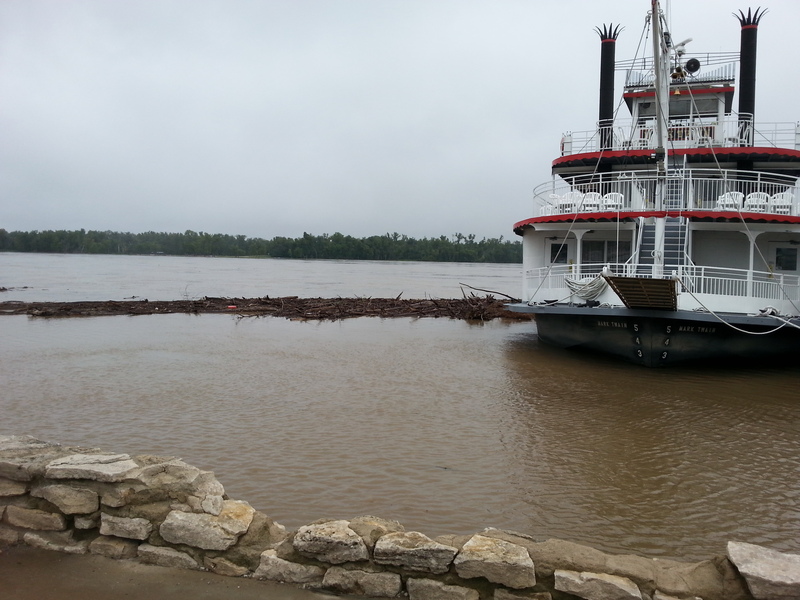 We enjoyed walking down to the Mississippi River and seeing the huge paddle wheelers. 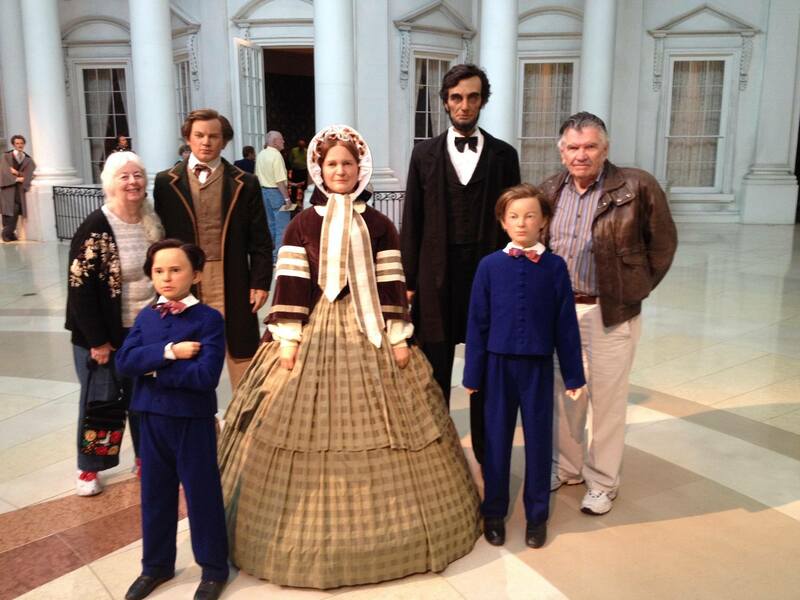 A very special stop was Springfield Illinois and the Lincoln Museum, as well as the home where Abe and Mary Todd Lincoln raised their three sons. 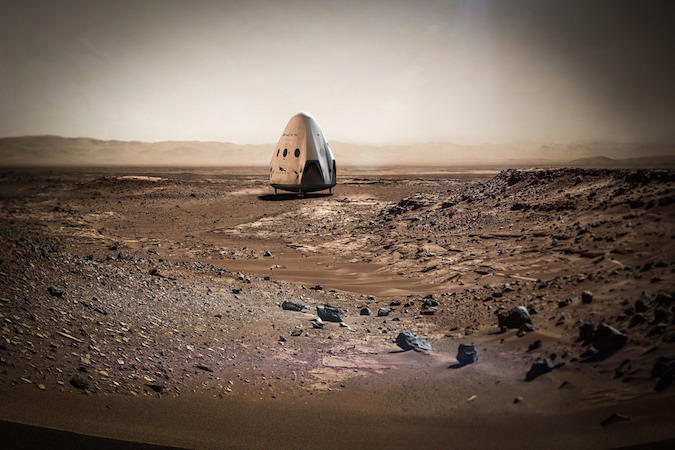 If you have never seen this Museum, you will be impressed! 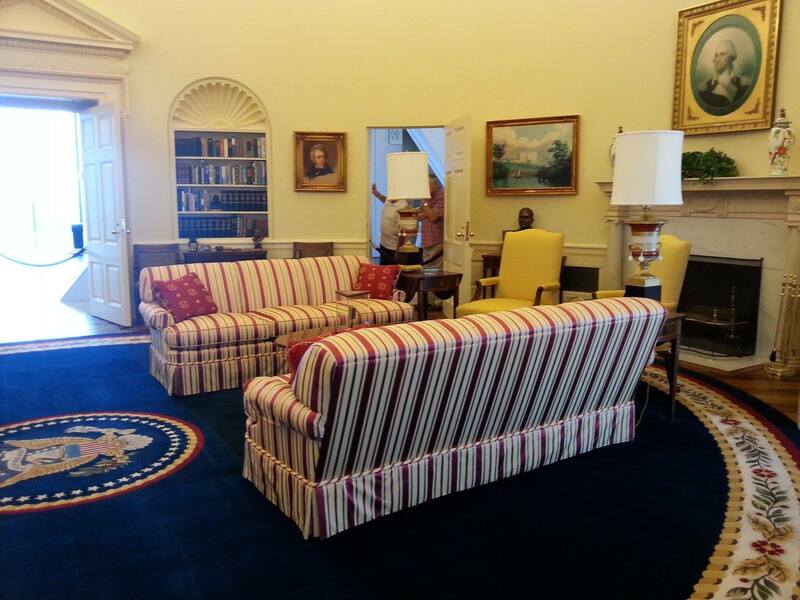 You can go through the furnished log cabin where he grew up and also the White House where each room depicts a scene from Lincoln’s Presidency and includes several short movies. In Decatur we passed really nice large land farms, then on to Champagne to spend another night. We drove to St. Clairesville Ohio where we met up with a friend for an excellent buffet dinner. We enjoyed our stay with him in Washington, PA. We arrived in Gouldsboro, PA beginning our family visit. From there we spent time with family members in Stroudsburg and Effort, PA; Andover, Sparta, Towaco and Newton, NJ We enjoyed an afternoon in New Hope, PA and another visit to Pittston, PA. The time spent with our children, grandchildren and other relatives was priceless!! It was time to hit the road again and the return trip took us seven days. First stop was Harrisburgh, PA, then Strasburg, and Harrisonburg Virginia. We enjoyed several good meals on the road at dependable Cracker Barrel. I need to check out Roanoke, Virginia; the town that once disappeared! A stop in Staunton and then Bristol, Virginia at the border of Tennessee. We picked up Rt. 40 in East Tennessee, stayed in Dandridge and drove to Gatlinburg and Pigeon Forge to enjoy the sights. 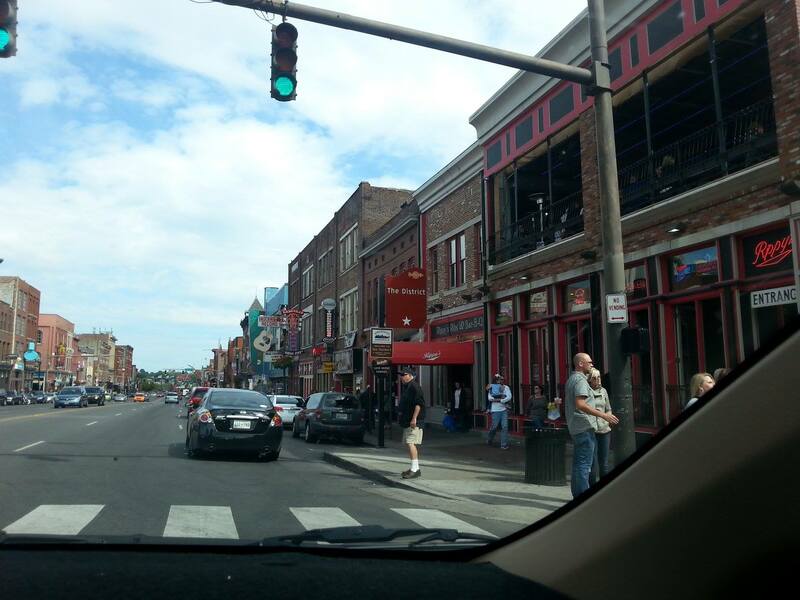 We drove through Nashville’s Music District and spent the night in Memphis. No time for Elvis Presley Boulevard, but I had seen Graceland before. Another night was spent in Conway Arkansas, with stops in Van Buren and Fort Smith Arkansas and then on to Little Rock and a visit to the Bill Clinton Museum, another must see!! 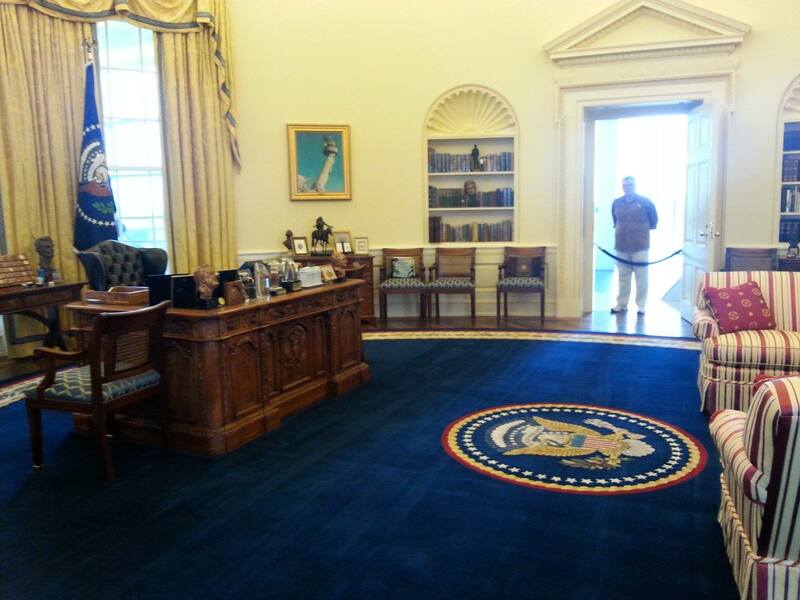 They have a full replica of the Oval Office with Bill Clinton’s desk and personal effects and also the full Cabinet Room. There are records of his schedule for each day he was in office, it is amazing! 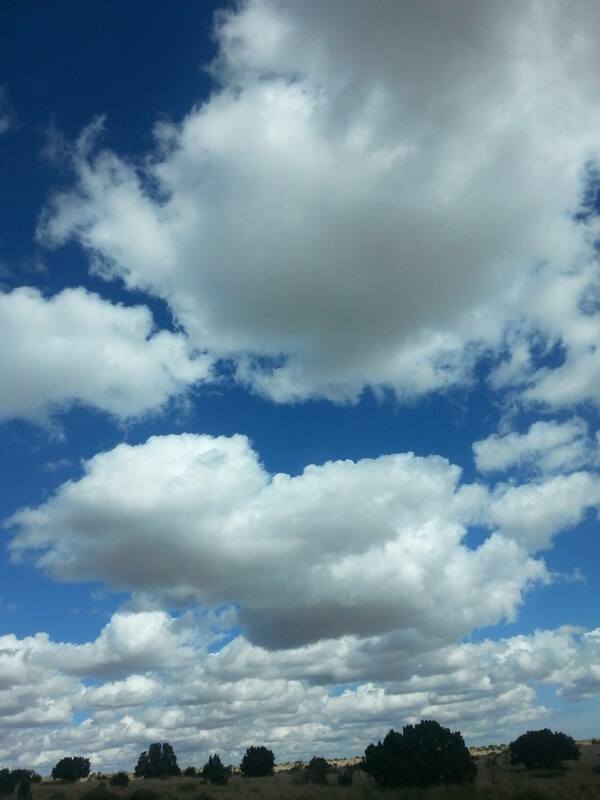 Amarillo Texas was our next stop, then a stay in Yukon Oklahoma on Garth Brooks Drive. Next was Tucumcari New Mexico, where we stayed overnight at the Historic Rt. 66 Motel. Dinner and overnight in Gallup New Mexico, eating at Virgie’s Mexican Restaurant was unforgettable. The place has been there 50 years and is a 5 star restaurant. 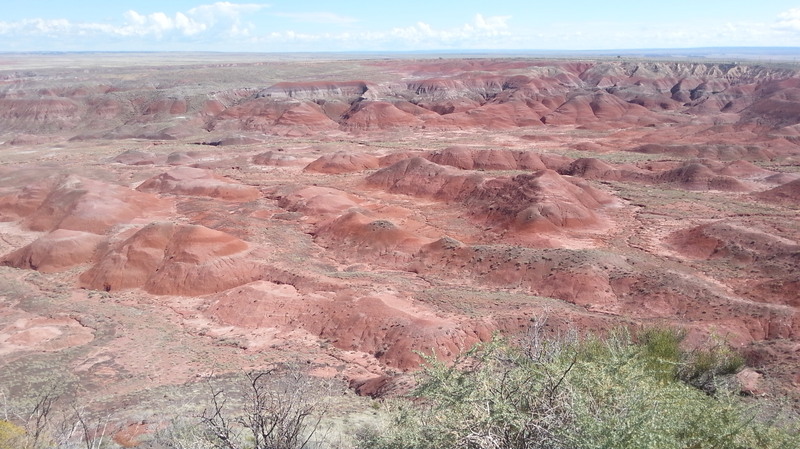 Entering Holbrook Arizona, we decided to make our last stop at the Petrified National Forest and Painted Desert. The views there are unbelievable! After driving more than 6000 miles, we arrived home safely in Phoenix with memories to last a lifetime! We have many side stories that just cannot be told here. There are so many pictures and videos of our trip that I will be posting another blog of just photos! !